Srinagar: Going beyond rhetoric, militants have started posting ‘tutorial’ videos on social media in Kashmir, offering weapon using tips. Though the government has banned popular social media sites in the Valley, militants manage to show their virtual presence. The ban has completely backfired on the government, as seething anger is visible both on streets as well as on the internet. In a new video, posted on a number of social networking sites on Wednesday, a militant is offering tips about how to use a gun, throwing a grenade and preparing a petrol bomb. The ten-minute video, which has a jihadi nasheed as background audio, is second of its type since social media ban was imposed in the Valley where militants offer weapon using tips through videos. “In future, we will teach you how to make a bomb,” the militant speaking in the video promises. The militant also “congratulates” the Muslims for appointing Raheel Sharif, former army general of Pakistan army, as the head of Islamic Military Alliance of 39 Muslim nations. “This (is the best thing) that has happened after the (fall of) Ottoman Khilafat. Just like they have NATO, we will be having this alliance in Arab,” the militant says. The police, however, said that there is nothing new in these videos and the tips offered in these videos are “immature and juvenile”. “It is yet another type of rhetoric they are indulging in. The techniques these militants offer in these videos are immature and juvenile,” Rayees Muhammad Bhat, superintendent of police in south Kashmir’s Pulwama district, told Kashmir Narrator. 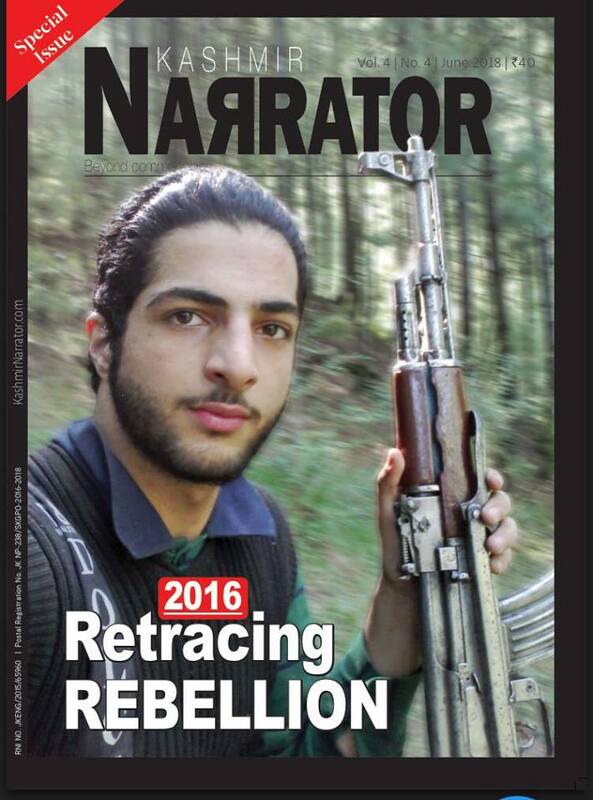 Burhan Wani, the popular Hizbul Mujahideen commander whose killing made the entire Valley revolt against the Indian rule here, gained popularity through these videos. “What made Wani to stand out from the crowd was his frequent appearance on social media through videos and photographs. He was tech-savvy and made full of social media. Gradually, the younger generation started attaching their emotions with him and the day he was killed, the emotions became manifest in a way no one expected,” said a social media activist.